Activision, the publisher behind the juggernaut Call of Duty franchise, has revealed its plan to launch an online service called “Call of Duty Elite,” which is set to coincide with the upcoming Call of Duty: Modern Warfare 3 title. This subscription-based service promises exclusive bonus content for Modern Warfare 3 and future installments of the Call of Duty series. This service is expected to offer a variety of features in addition to exclusive content: it will feature a social network that Call of Duty players can use to meet and interact with one another, as well as performance-gauging tools that will help players strengthen their game. Other features have yet to be revealed. It is important to note that subscribing to the Call of Duty Elite service is not required: players who do not subscribe can still play against others online. It is certainly a bold move by Activision. Players already pay $60 for a new copy of a game, and additional multiplayer map packs now sell for $15 a pack: 25% of the game’s retail value. Add to this the fact that Activision releases several map packs per title, and multiplayer-loving gamers are now looking at $90+ in expenses for every Call of Duty title they purchase. This doesn’t include the subscription fee Microsoft’s Xbox Gold users must pay for online services. Clearly, Activision isn’t happy not making money in between Call of Duty releases. How much they intend to charge for Call of Duty Elite subscriptions has not been announced, but Activision has stated that it expects the fees to be less than other online entertainment services (like those of Netflix). While subscription-based MMORPG’s typically charge about $15 a month for service, they offer devoted game servers, customer support, and regular patches and content updates. 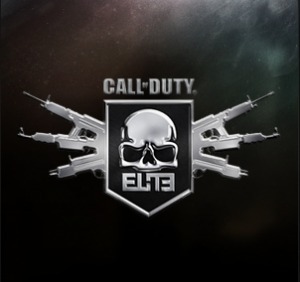 We expect to learn more about Call of Duty Elite services at E3 next week. In the meantime, players can visit the official Call of Duty Elite site, and sign-up for a beta invite. [Source] The Wall Street Journal Digital Network.